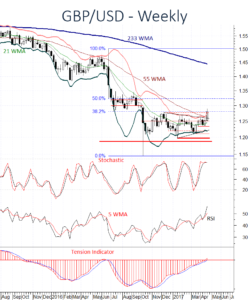 GBP/USD is extending the rally from the 1.2362 low of 10 April. Prices have closed above the 1.2775 critical high of December, highlighting completion of the triangle pattern. Investor sentiment has also improved. In the coming weeks, further gains are looked for. 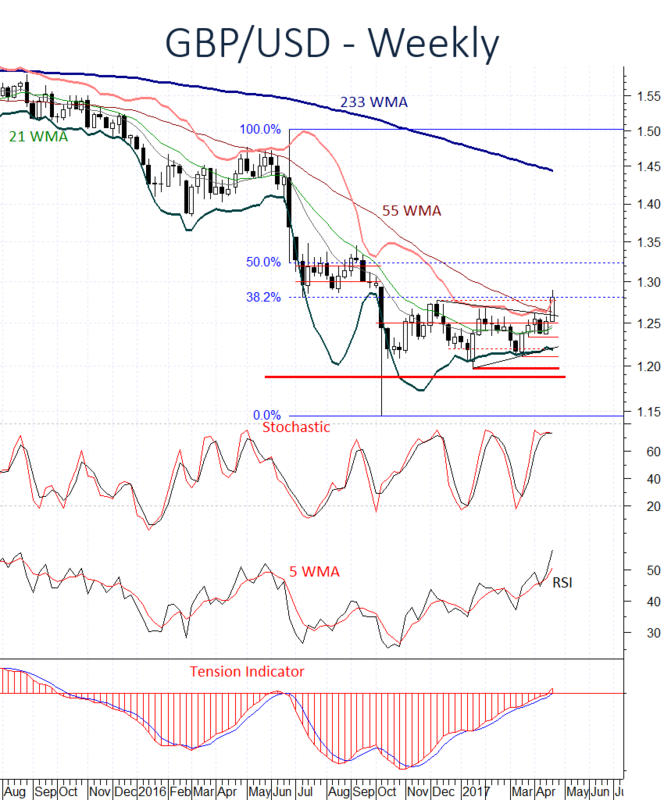 A break above congestion around 1.3000 will target further congestion around 1.3200. Just higher is the 1.3235, (50%) Fibonacci retracement of the June-October fall. Support is raised to the 1.2500 break level, and should underpin any immediate downside tests. If broken, not seen, investors will move back to a cautious stance as prices fall into congestion above 1.2362. Further slippage beneath here will add extra downside pressure and open up the 1.2105 low of March.